SC1000IA Intra-arterial Blood Pressure Analysis System for Mice and Rats | Hatteras Instruments, Inc. The SC1000 with Intra-arterial Option utilizes the same modular technology as the original tail-cuff blood pressure analysis instruments, but now includes direct blood pressure measurements! Through a precision instrumentation amplifier and miniature pressure transducer with Luer hub housing, this innovative design allows pressure sensing as close to the source as possible, preventing errors often associated with bench-top transducers. 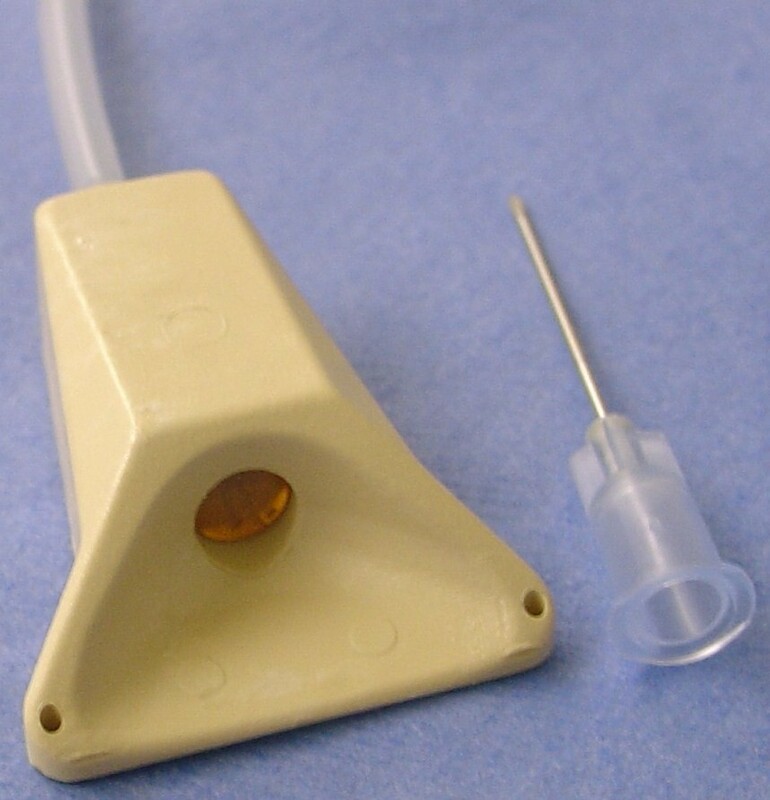 In addition, this unique system allows you to easily obtain pressure readings on animals pre-instrumented with subcutaneous infusion ports. 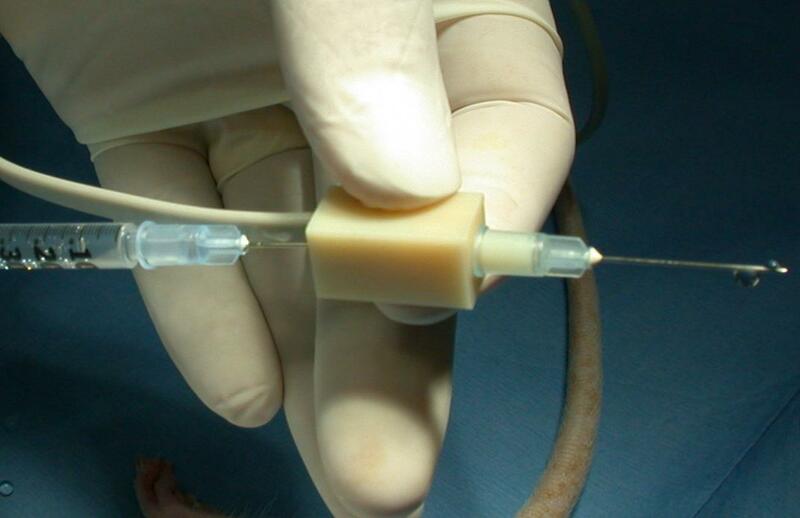 The ports eliminate problems that often occur with externalized catheters and allow normal housing for the animals. The SC1000 Intra-arterial system operates through a series of connecting parts in order to provide immediate and accurate results. The control unit connects to the instrumentation amplifier, which connects to the pressure transducer, all via cables. A Luer hub needle is placed on the pressure transducer which allows direct access to the subcutaneous infusion port placed in the animal. In addition, if desired, the animal can be infused through the pressure transducer septum. The new SC1000 Intra-arterial Blood Pressure Analysis System offers precise, easily obtainable direct blood pressure measurements. Its simple and affordable design will now provide you with two forms of blood pressure analysis to ensure even more accurate results. Infusion Ports for use with the SC1000IA system are available in many sizes ranging from the "microport" for use with mice to larger sizes for use with rats and other animals. Dual port catheters are also available for simultaneous infusion and pressure measurements. The same technology operating in the original SC1000 control unit powers the direct blood pressure measurements to provide accurate results. The control unit connects to the instrumentation amplifier, which connects to the pressure transducer. Then the Luer hub needle enters the subcutaneous infusion port to immediately obtain direct blood pressure readings.